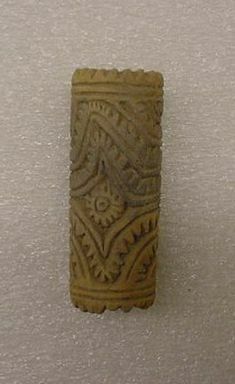 Cylindrical stamp with geometrical designs. Used for transferring designs. Condition: good.